Hello guys! Long time no see. 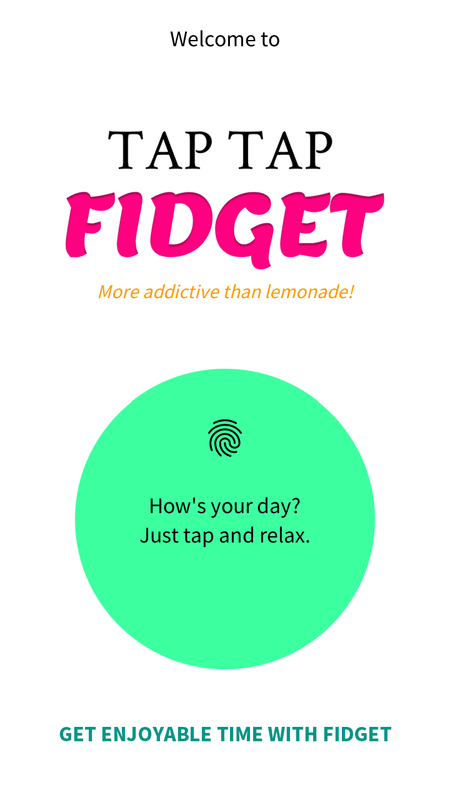 Several months ago, I published ‘Tap Tap Fidget’ for people who like to fidget. This tiny app is designed to fidget at anytime and anywhere for everyone. It’s so simple, but also delightful. Lots of people reviewed Tap Tap Fidget for 5 stars, and shared their valuable stories how they use and experience it in their daily life. 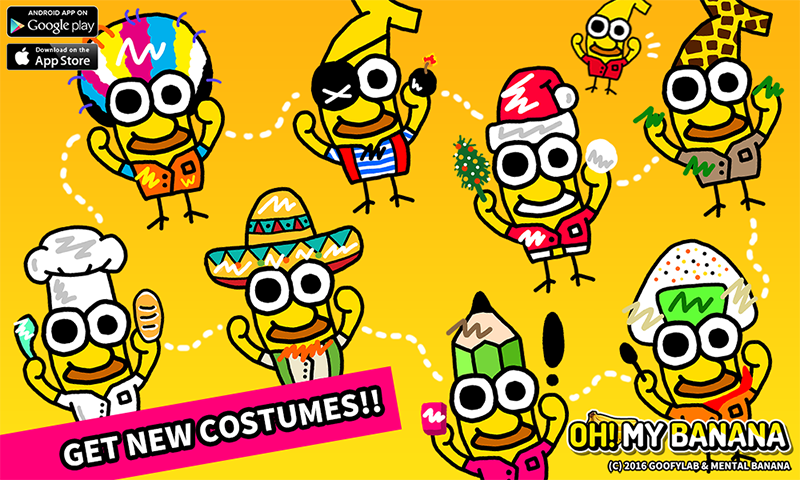 After I released it, I have updated it to add new features and fidgets to play more fun. Let’s meet them together now. It was started with Fire Torch and Cutie Nyan at first update. 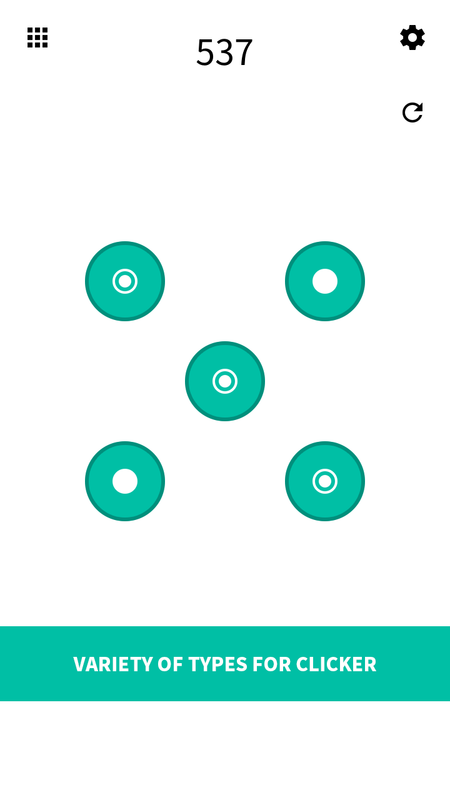 These fidgets are designed to tap anywhere with getting response directly. Whenever you tap, it responses on the spot right away. Specially Fire Torch is great to relieve stress. Just tap to stick it. Next, I added four unique spinners to enjoy spinning. They are Donut Spinner, Wheel Spinner, Skate Spinner, and Dagger Spinner. It’s totally different with other similar spinner apps. It literally spins instantly in physics system. I use physics components to implement it, so it spins as much as you spin it physically. There are four kinds of spinners, and Dagger Spinner is the one you might expect as a spinner. Then, I added Rainbow Candy, Playing Cards, Zen Stone, Shooting Plane, Coin Block, and Today Color. In Shooting Plane, you can drag the plane to move it and shoot missiles. Also you can tap ground to shoot missiles too. Coin Block is one of my favorite fidgets. It sounds cheerful and fun to tap. Have you seen this block in somewhere before? That might be illusion. I also added Zen Brush to give you feel drawing something. It paints and flows naturally through your finger, and you can draw strokes with mode changed. 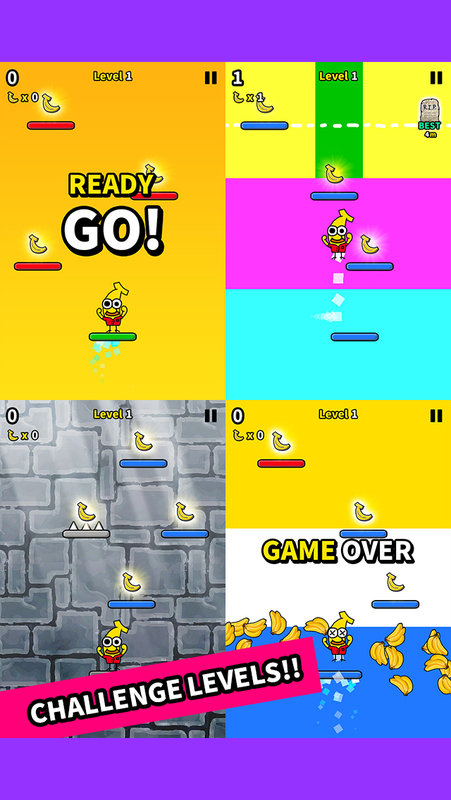 Zen series is one of important feature in Tap Tap Fidget, I think. At finally, Target Shooter and Duck Pool. I really love those two fidgets. It’s so fun and cheerful. It aims to tap rhythmically and dynamically. Believe me, qwak- qwak sounds make you pleasant. Meet the cutest ducks right now. Any good ideas? I’ll keep update Tap Tap Fidget, and I love hearing from you. Any feedbacks are welcome. Please share your experiences and creative ideas. 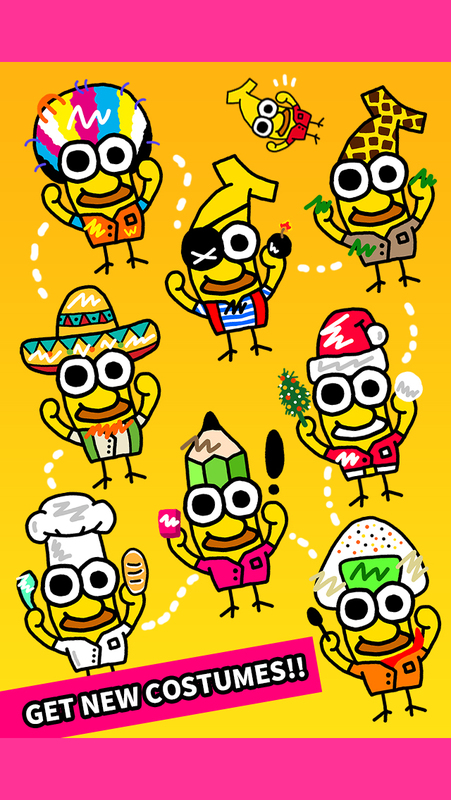 It has been published on both Google Play and App Store. Your review will be very helpful for individual developers. 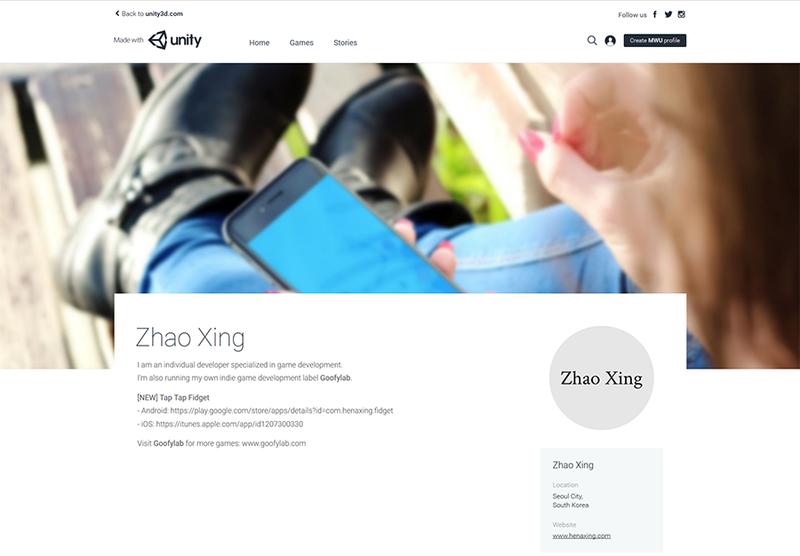 Now, my brand new publisher profile Zhao Xing for Tap Tap Fidget is approved by MadeWithUnity. This profile will be used for entertainment or education applications. There is another profile Goofylab for games under the lable of Goofylab too. Do you fidget all the time? Needs some space to get relaxed? Today, I’d like to introduce my new application, Tap Tap Fidget. Do not get stressed anymore. Don’t try to understand complex and difficult games anymore. Just tap and enjoy. That’s what you do from today. 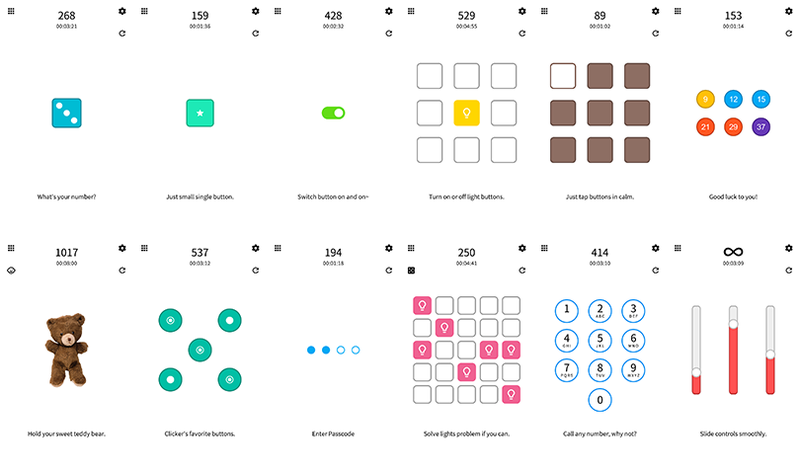 Tap Tap Fidget is a simple and delightful virtual fidget application for anyone who likes to fidget. You can tap and fidget anytime and anywhere as you want. No need to buy stuff or get stressed from challenging games to fidget. Just tap, click, touch, switch, scroll, control, match, pop, shoot till you want to stop. This is a high-quality virtual fidget toy designed to make you relax and focus. Fidget at work, in class, and at home in style! For every clickers in worldwide, I carefully selected fidgeting styles and sound effects. I considered player’s behaviors a lot when they actually play it, and wanted all the players to play it without feeling any barriers. I’ll update continuously more variety of fidgeting styles with specialized sounds too. 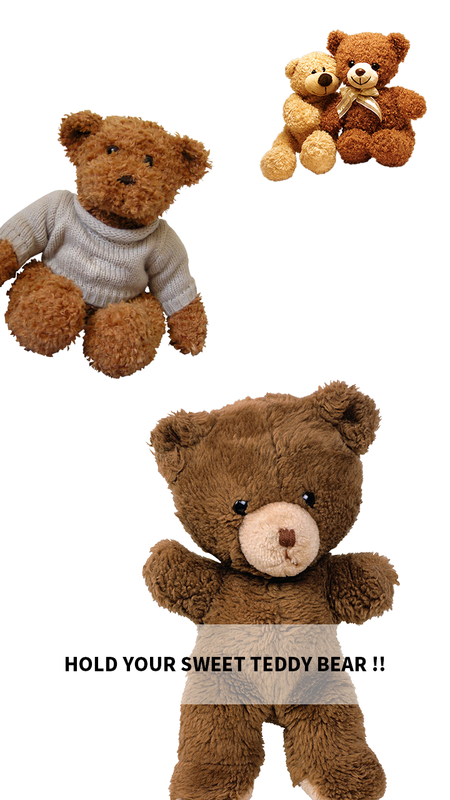 From starting package, Tap Tap Fidget includes now 18 fidgeting styles of: Basic Tap, Single Button, Teddy Bear, Two Buttons, Five Buttons, Nine Buttons, Light Buttons, Switch Button, Enter Passcode, Number Pad, Slider Bar, Slider Bars, Glide Button, Game Pad, Basic Dice, Lotto Game, Lights Out, and Bubble Wrap. It’s getting more and more! Any good ideas? We love hearing from you. Please share your experiences and creative ideas. Last month, I released an arcard game called Space Agent on both Google Play and Apple App Store. 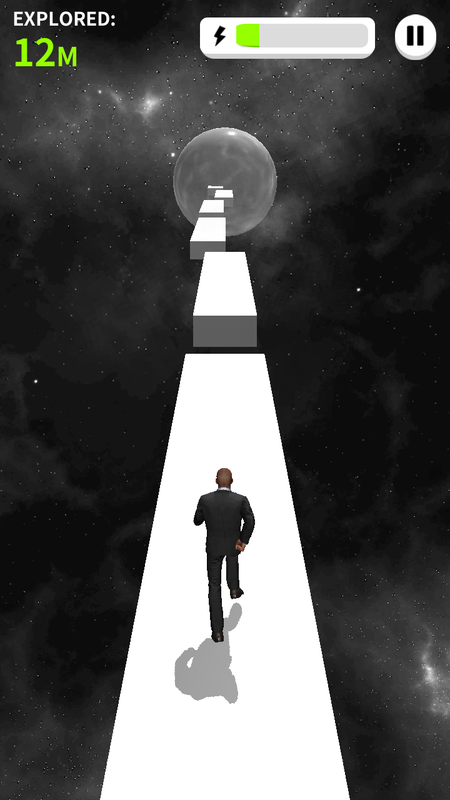 Space Agent is a simple one-touch platform game which describes a man lost in space. You can experience deep dark space with massive stars, and it is so exciting when you play it with smooth tilt controls. 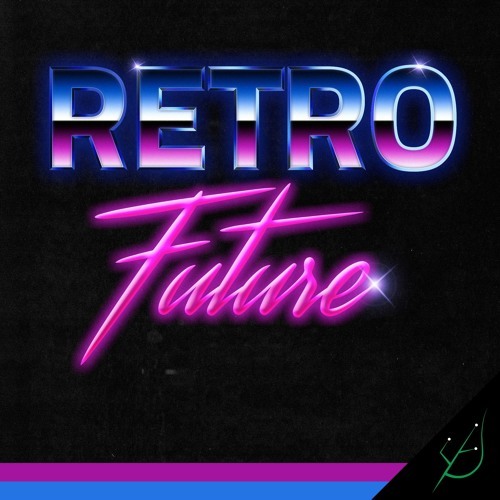 There is also high-quality background music of Retro Future composed by Andrea Baroni. I hope you enjoy this game. 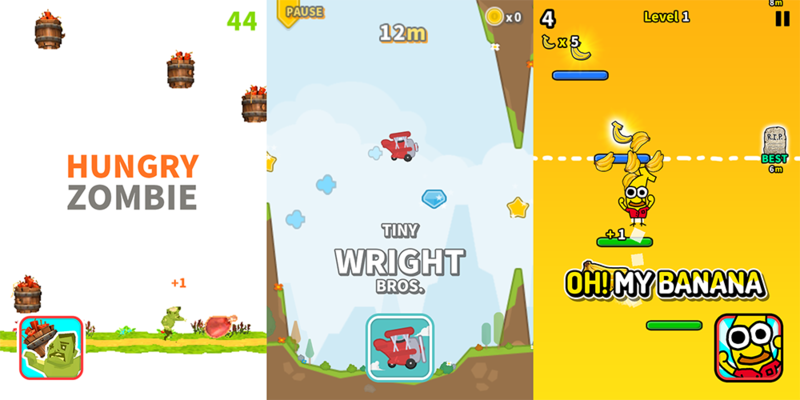 I also updated my previous games: Hungry Zombie, Tiny Wright Bros, and Oh! 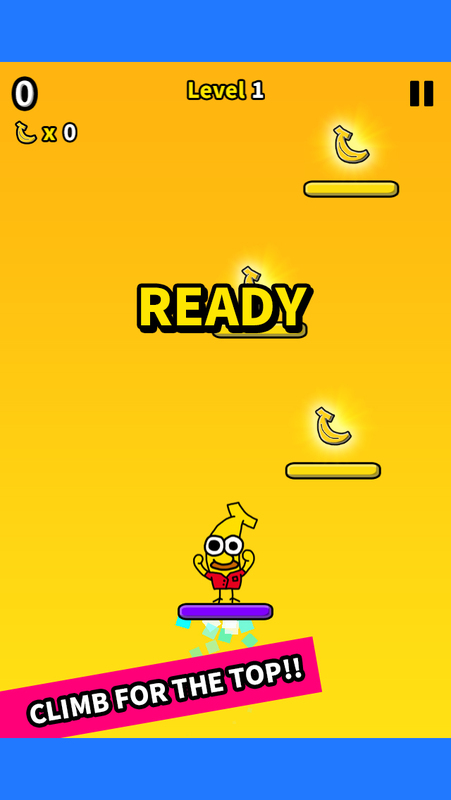 My Banana to make it stable and optimized with latest mobile devices and third-party plugins. All descriptions and screenshots are updated too. Now you can find all of my games from Made with Unity website. Feedback is always welcome. Please enjoy and review my games. Your support would be very helpful. Have a nice day! Hello guys! Long time no see. Today, I published my new arcade game, Space Agent! It’s a fourth released project of Goofylab. I’m glad to introduce my new game after a long interval. Great! 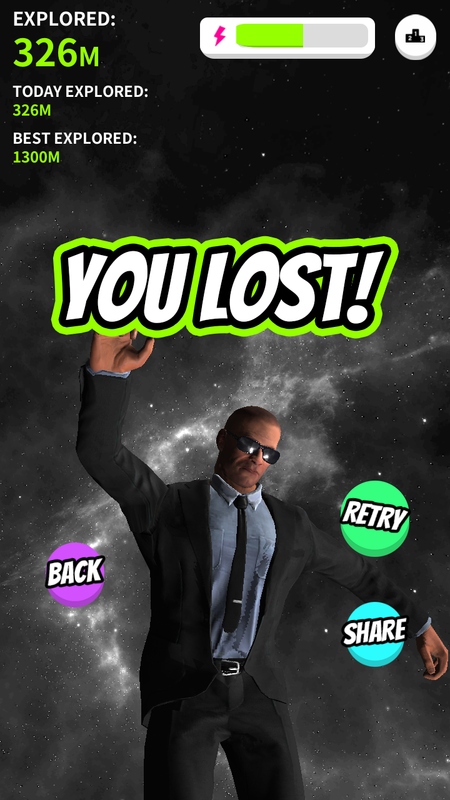 Space Agent is a simple and exciting one-touch arcade game. You can explore into deep space with massive stars on extensive view. 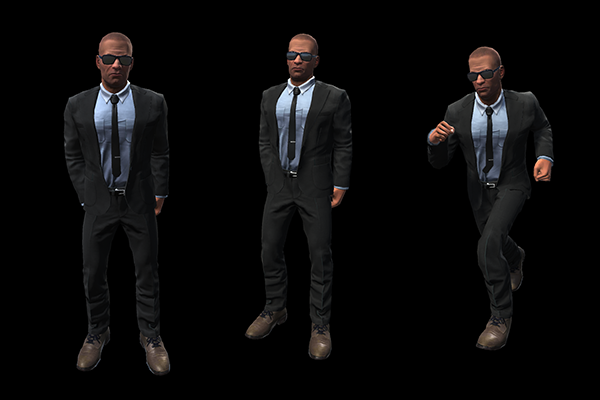 Your experience will be so realistic with dynamic camera scene and visual effects. This game is inspired by space concept. I tried to express a man exploring dark space with massive stars on mysterious universe. I wanted to make players experience exploring realistic universe when they play it. Your mission is finding a new planet and survive from deep space! This time, I also tried new method to control a character. I used an accelerometer, and you have to tilt your device to survive. It could be difficult at first time, however I’m sure that you will be comfortable and enjoy this move later. Moreover, I tried to make high quality sounds experience. Space Agent has a lot of great sound effects and includes awesome background music “Retro Future” composed by Andrea Baroni. It includes two soundtracks, Chasing Neon Lights and Weirder Dreams. I’m sure that you will be like these music, so I recommend you to use your earphone. 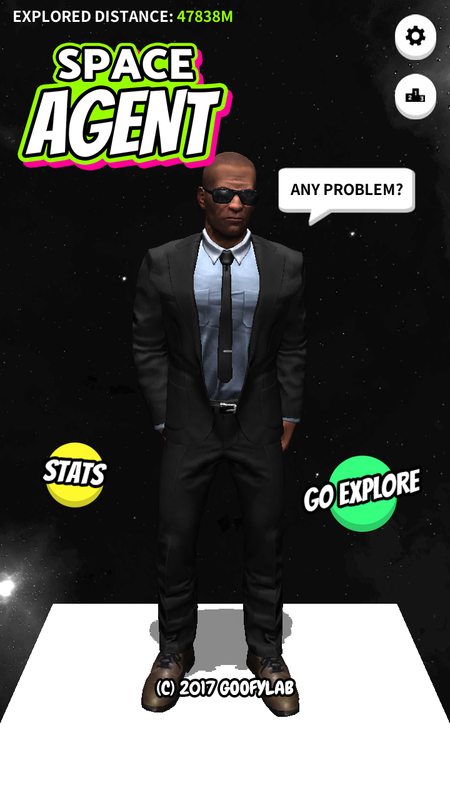 Explore into deep space now and enjoy Space Agent with your friends! Be the top on the world ranking!